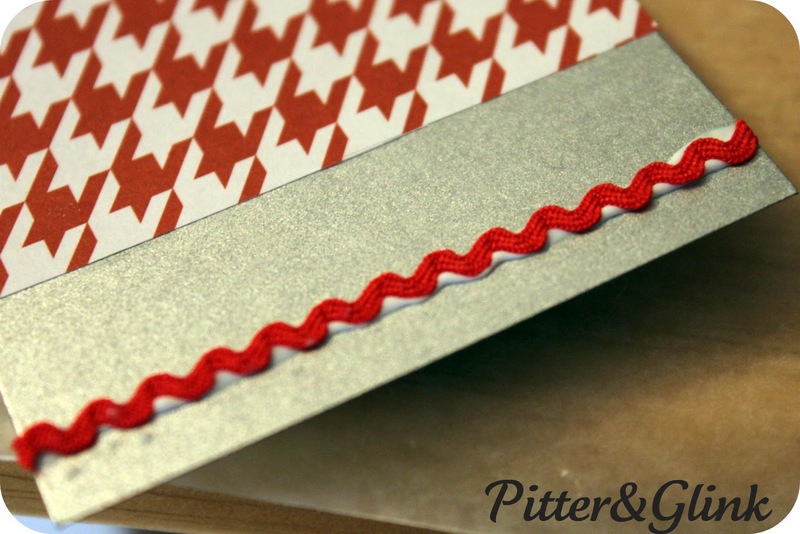 Who doesn't like simple craft projects that look great? I don't know of anyone...except maybe people that don't like crafts. And those people should be institutionalized! ;) I wanted to make my mom some ornaments for her tree this year. She was feeling like her tree was missing something. 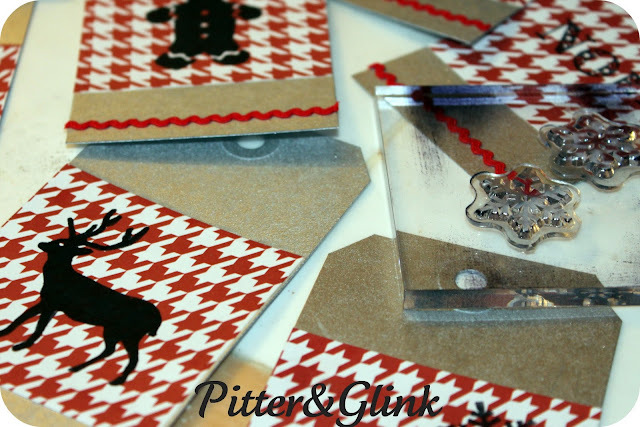 So I whipped up ten simple, inexpensive ornaments for her out of gift tags. 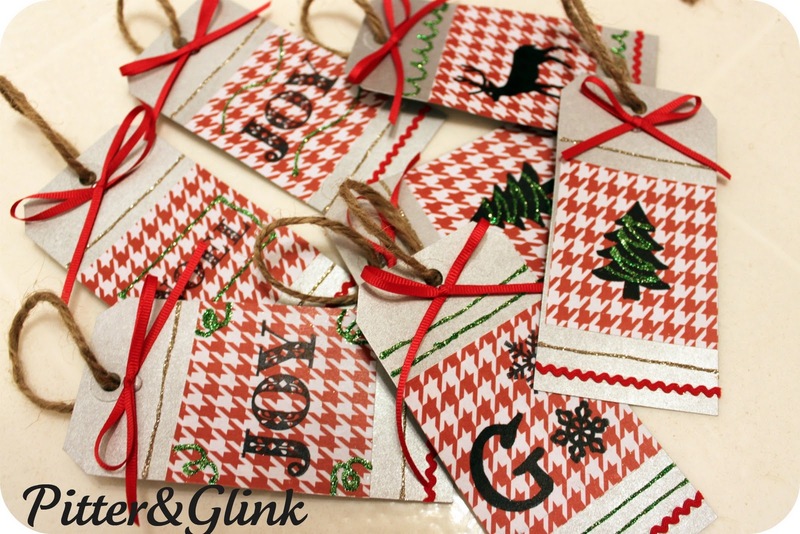 Now, of course, you can make these for the sole purpose of using as gift tags, but they are really cute as ornaments. I started with metallic spray paint and ten large gift tags. I sprayed the tags on both sides. I made sure not to spray too much because I didn't want a curled up, warped paper mess. 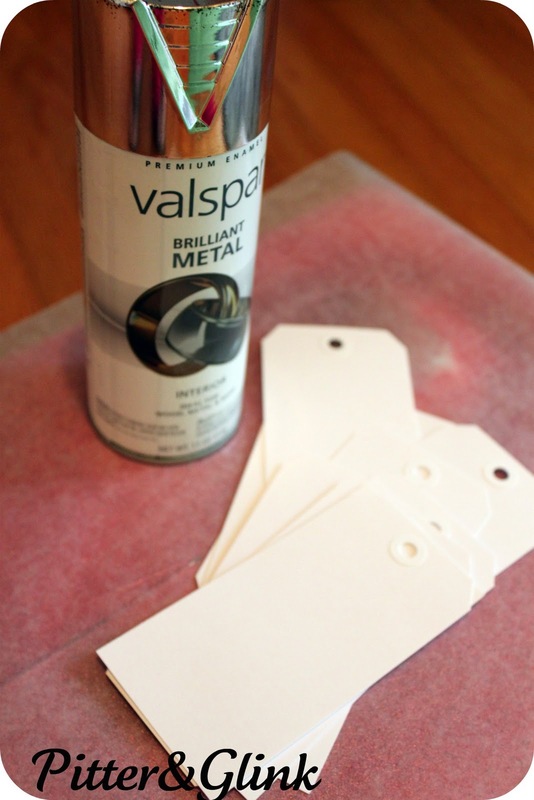 The spray paint makes the tags look like metal, which is really awesome. 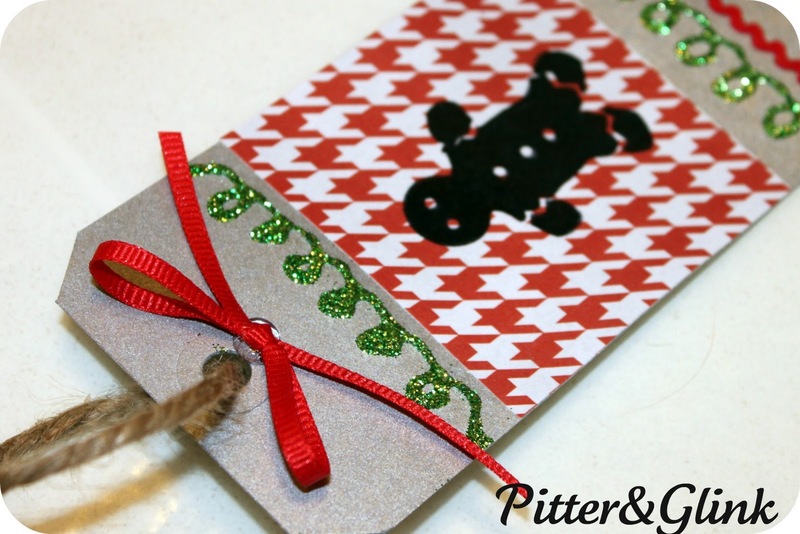 I decided to add a square of scrapbook paper to each tag. I used a thin coat of Mod Podge to apply the paper. When the Mod Podge dries, the tags will be curled up like in the picture. All you have to do is gently curl the paper the other way. It must break up some of the adhesive because it will flatten the tags. 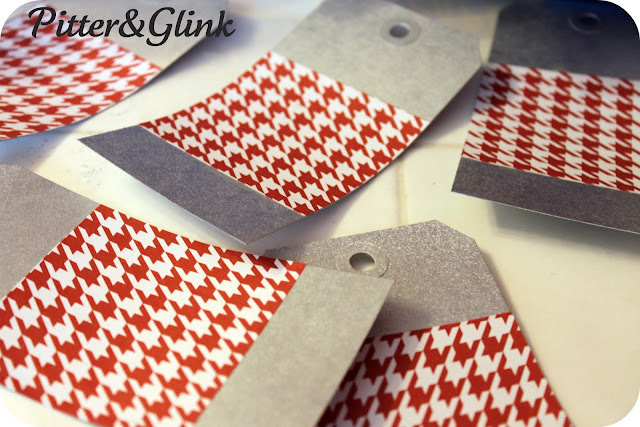 I wanted to add a bit more color to the tag, so I added a strip of red ric-rac to the bottom of each tag with white glue. Next, each tag needs some kind of design. A long time ago, I purchased a bunch of Martha Stewart Christmas stamps when they were on clearance. 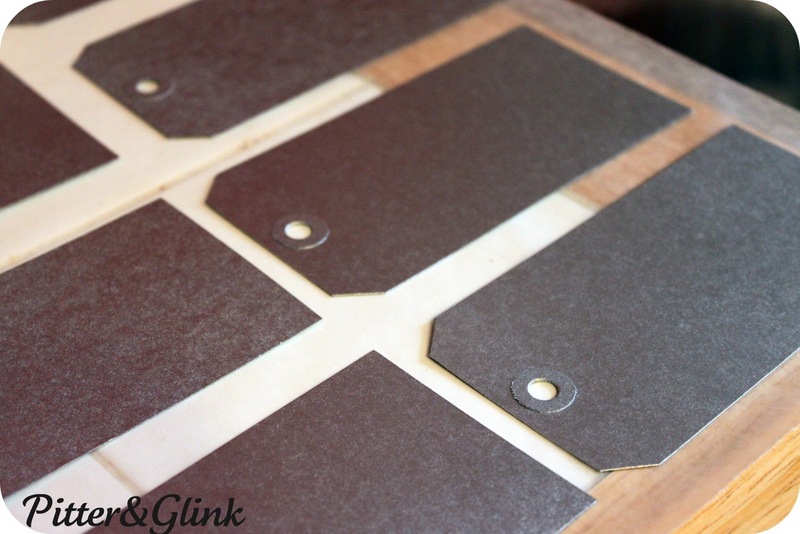 I used black ink to stamp a design on each tag. Because of the pattern on the paper, some of the ink wasn't dark enough in places. I went over those images with a black sharpie. You can leave your tags as is after this step or you can continue to embellish. Since glitter makes everything better, I used antique silver and green glitter to add little swirls and lines to the tags. And because I didn't want my mom to have glitter all over her house, I sprayed the tags with a clear sealer. Then I added a small red bow to each tag, along with a rope loop for hanging. I love the finished product--how the ornaments match, but they each have their own personality. I think my favorite is the deer, but they are all cute! These are so cute! I'll have to make some quick for Christmas! 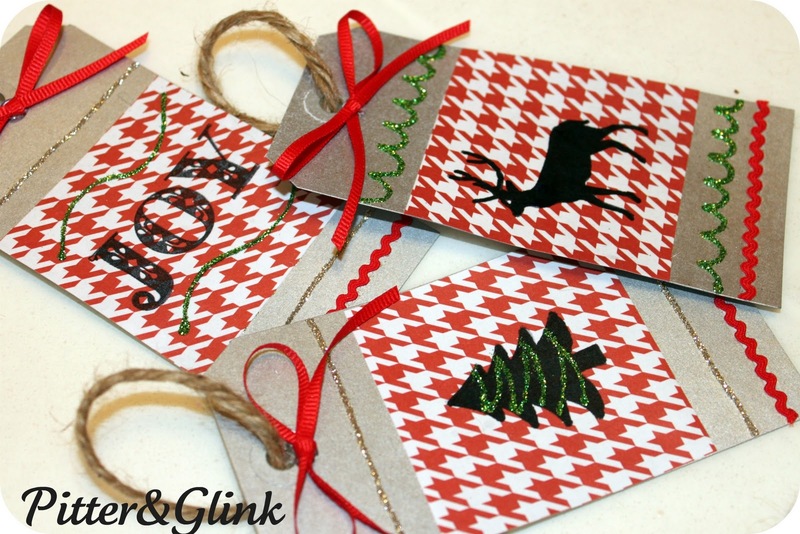 Super fun and beautiful tags! I like the deer too. You are so talented. I love these tags. The thing I love the most is that they are so pretty on my tree. Happy Birthday to me. Thanks baby I love them. I just love what we can do with paint! I think my favorite is the deer. Great idea! How cuuute..I adore these.. So creative and unique.. : )) Very beutiful.. I love your gift tags. Thanks for stopping by and leaving a comment on my blog. I always appreciate you stopping by. Merry Christmas. Stopping by from A Pinterest Party. Those tags are really nice, I'll have to try that! these tags a FABULOUS!!!!! sending holiday hugs!!! These are adorable, love the red and white hounds tooth pattern, very pretty. Your gift tags are very pretty. Thanks for sharing at Sunday's Best and wishing you very happy holiday's.